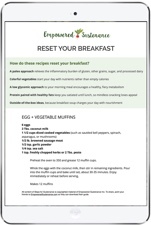 From Lauren: This recipe is from my friend Jean Choi, who regularly contributes her creative recipes here. It’s finally pumpkin season! I personally don’t enjoy the weather cooling down because I love the summer too much, but I do get excited when I see pumpkins and squash popping up when I go grocery shopping. It’s one of my favorite vegetables to cook and eat, and it always makes me feel so cozy. 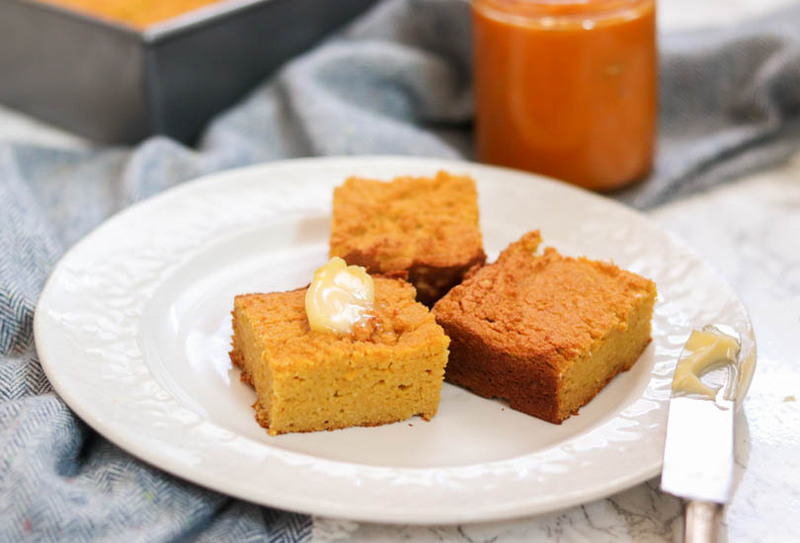 This Paleo Pumpkin “Cornbread’ is my first pumpkin recipe this season and I’m excited to share it with you. There’s no actual corn in this because it’s grain free, but the combination of coconut flour and honey gives it that cornbread taste that I miss so much. Because pumpkin has so much moisture, you’ll find that this pumpkin “cornbread” is more moist than the cornbread that you are used to, so it’s best to toast it on a pan or in the oven before serving it with some butter or ghee, and a drizzle of honey. Coconut flour – Coconut flour acts very different from other grain-free, gluten-free flours and I don’t recommend substituting this flour with anything else. Tapioca starch – If you don’t have this on hand, you can substitute it with arrowroot starch. Pumpkin puree – I used canned pumpkin puree. Make sure you don’t accidentally use canned pumpkin pie filling, which is filled with sugar and other ingredients. If you can use fresh pumpkin that you cook and puree yourself, I bet it’ll taste even better! 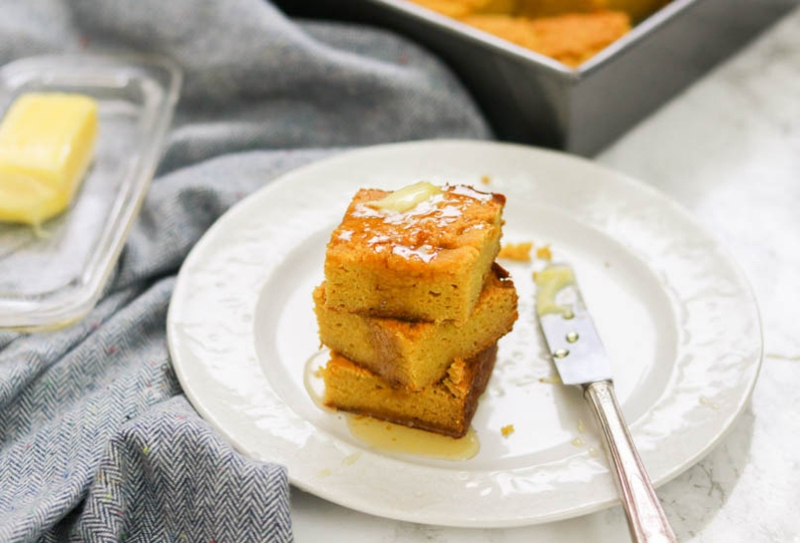 Ghee – I personally like to use ghee in this recipe because I love the buttery taste it gives the cornbread, but if you don’t have it on hand or if you are ultra sensitive to dairy, you can use coconut oil instead with same results. Grease an 8x8 baking dish generously with ghee or coconut oil. In a large mixing bowl, stir together coconut flour, tapioca starch, baking soda, and sea salt. In another bowl, whisk together eggs, pumpkin puree, coconut milk, ghee, and honey, if using. Pour wet ingredients into dry ingredients and mix together. Pour into the prepared baking dish, and spread out the mixture evenly with a spatula. Bake for 40-45 minutes until golden brown, and a toothpick inserted at the center comes out clean. Slice into squares and serve toasted with a pat of butter and honey. How many ounces or cup measure for the pumpkin in the “pumpkin corn bread”? The ingredients list says 1cup of canned puree..???? Jean, this is so good and so simple. I topped it with my whipped coconut oil/ghee spread and it was over the top. This recipe is way better than any conventional cornbread I ever ate. 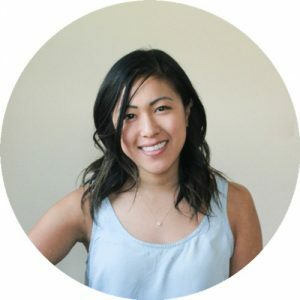 Love your recipes..Cheers! 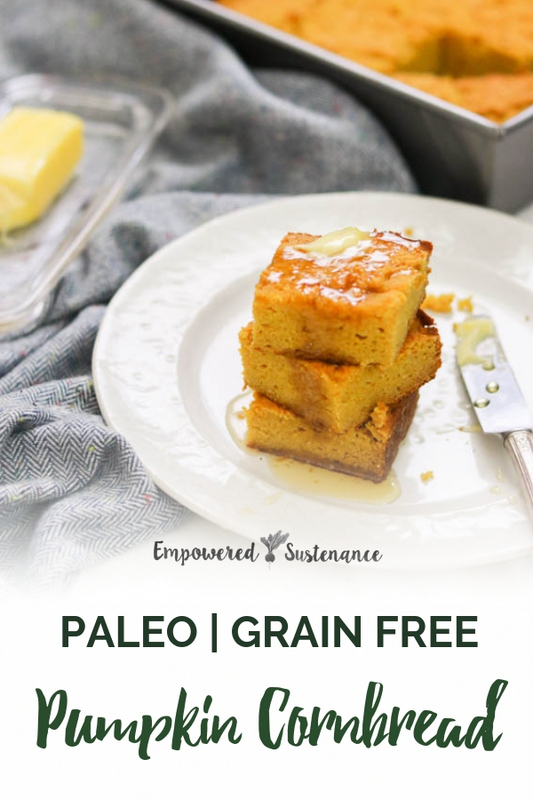 thank you, I’ve missed cornbread since I’ve been avoiding a lot of the traditional ingredients for it, so am thrilled you put this paleo recipe together! I tolerate arrowroot powder much better than tapioca. Do you have any suggestions for how to sub arrowroot for the tapioca? Amazing recipe for pumpkin season! Delicious! Thanks for sharing the recipe!